First you need some water, tempera paint, and dish soap. 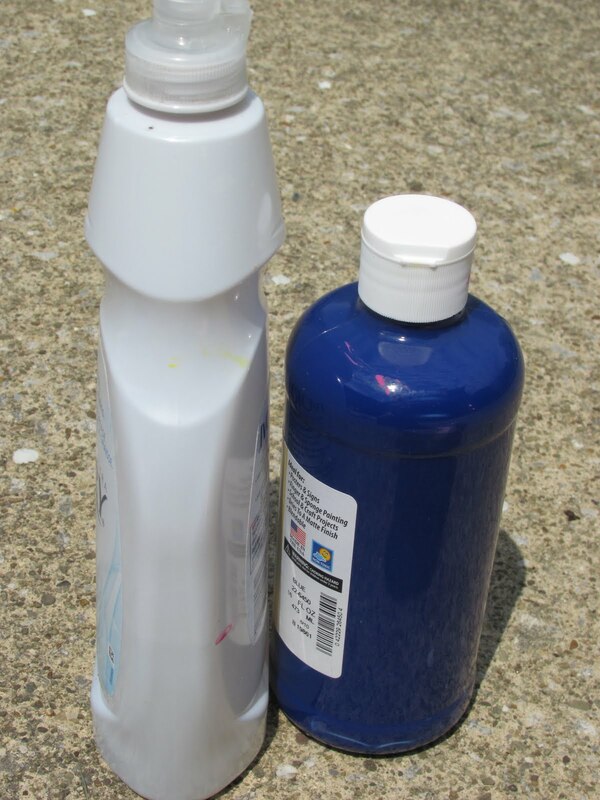 Mix about a 1/2 cup of water, 2 Tablespoons of paint, and a few squirts of dish soap in each container. We experimented and added a little more dish soap if needed! My daughter thought it was fun and enjoyed the mixing part. Then add a straw to each container and make sure you blow into the mixture. It is like blowing bubbles in your milk or juice. She LOVED this part a lot! It was an excuse to do something that she usually is told not to do. Once you have a huge bubble foam on the top of the container you are ready to lay a paper on top to print the bubbles. 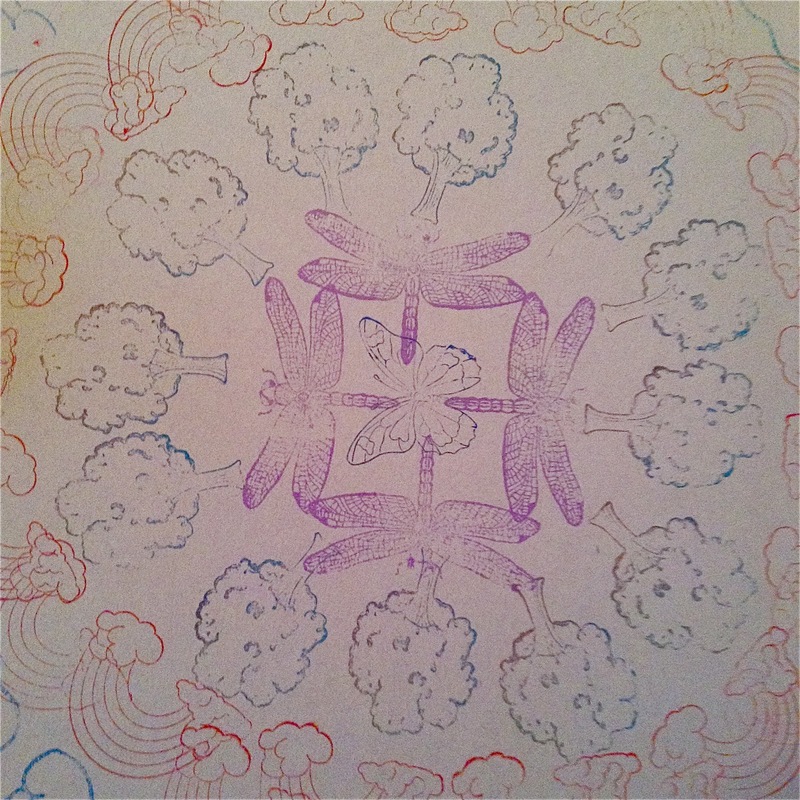 The bubbles will "POP" and create a print. Here is our best bubble print.... we made lots and lots. I made the bubble prints into cards. They look so pretty and friends and family members are always amazed with how they were created. This technique would create Great wrapping paper too. 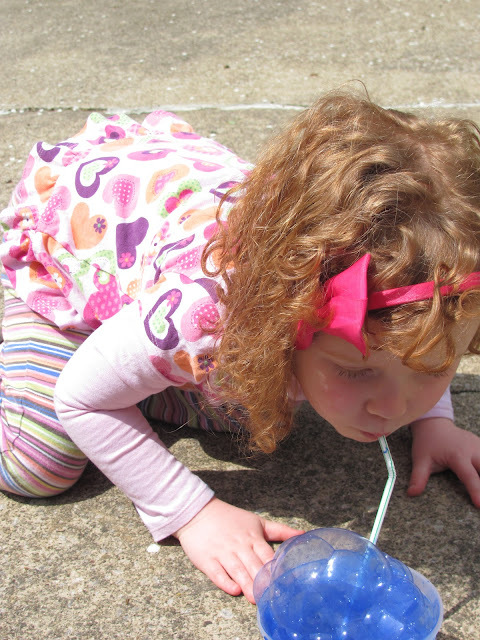 Now back to blowing bubbles and trying to catch them. 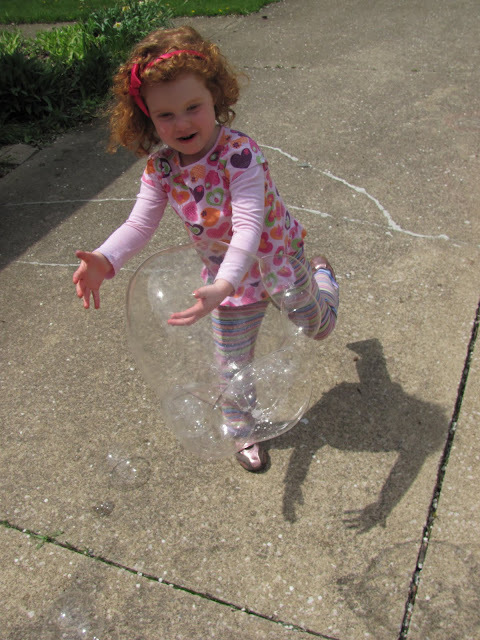 What is your favorite bubble activity? We love dyeing eggs! We are joining in on Tinkerlab's Creative Challenge: Eggs. Our idea is dyeing eggs with Glitter Liquid Watercolors. We received a fabulous set of these beauties from Discount School Supply. This has got be one of my top favorite products from them. You can check out their website here, if you want to purchase some. 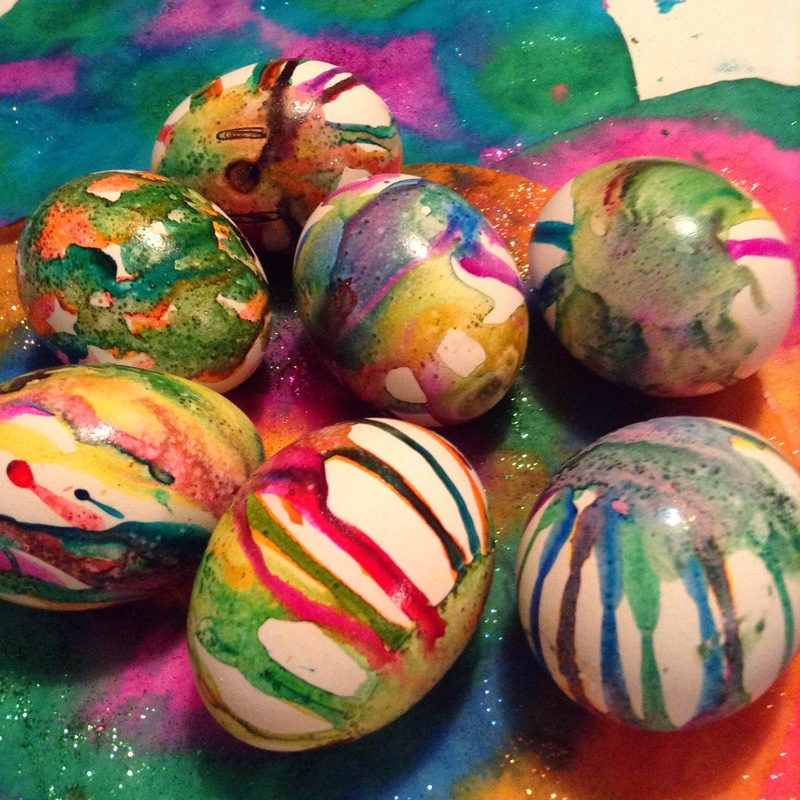 Keep reading to find out how we created these Gorgeous dyed eggs! 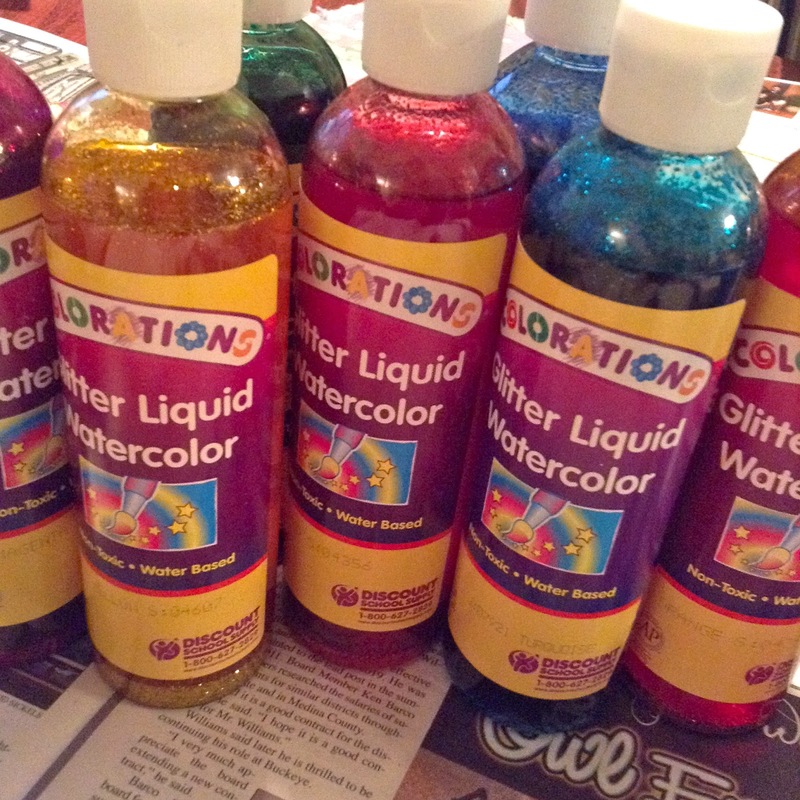 First, grab some Glitter Liquid Watercolors from Discountschoolsupply.com and put some in containers or a muffin tin. A muffin is a great way to divide up the colors. Place a couple of coffee filters inside a bowl or some paper towels to soak up the excess watercolors. 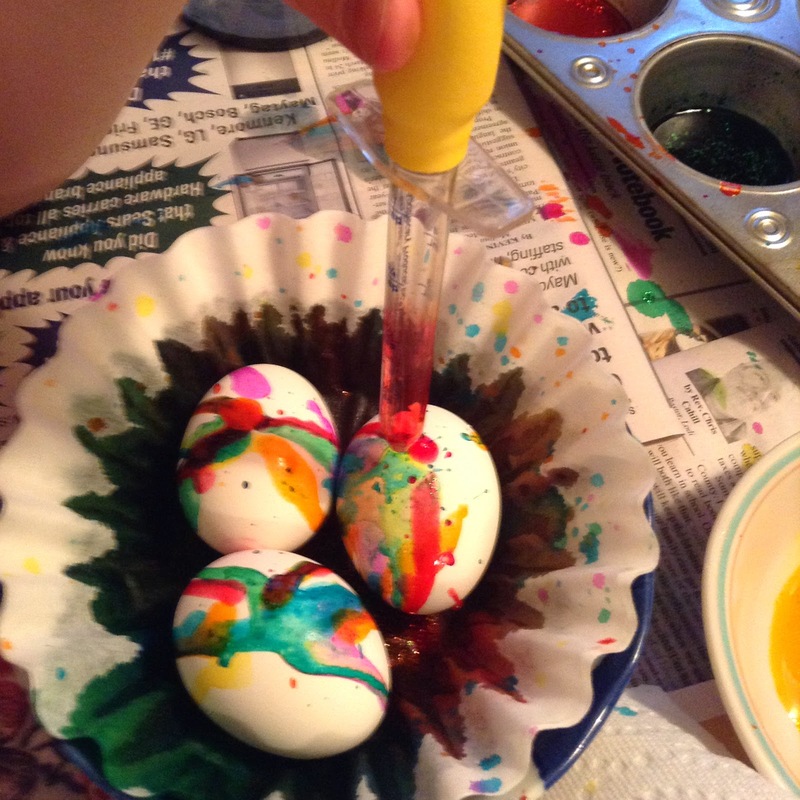 Then place the egg or eggs on top of the coffee filter and start dripping glitter watercolors over the eggs. 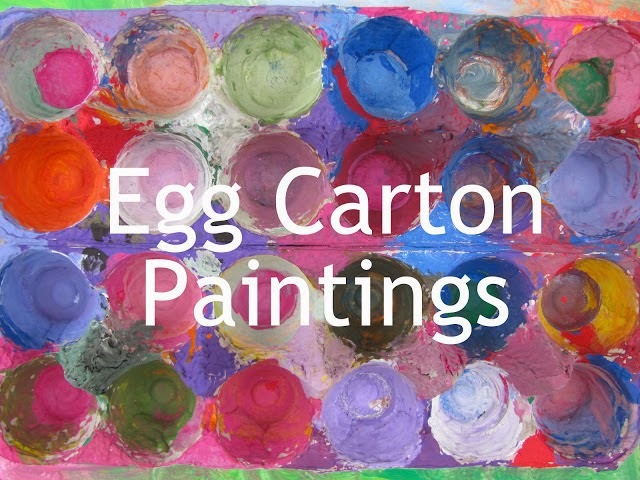 This is truly an engaging process to watch the colors flow over the egg and mix together. 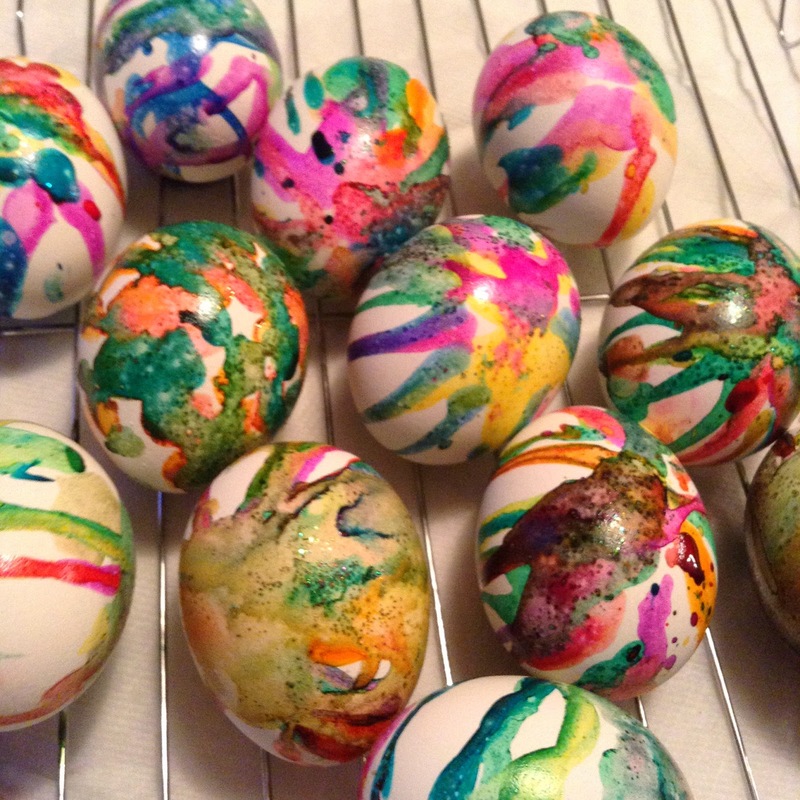 Drip as much color as you want and then place the eggs on a baking rack with paper towels underneath to dry. 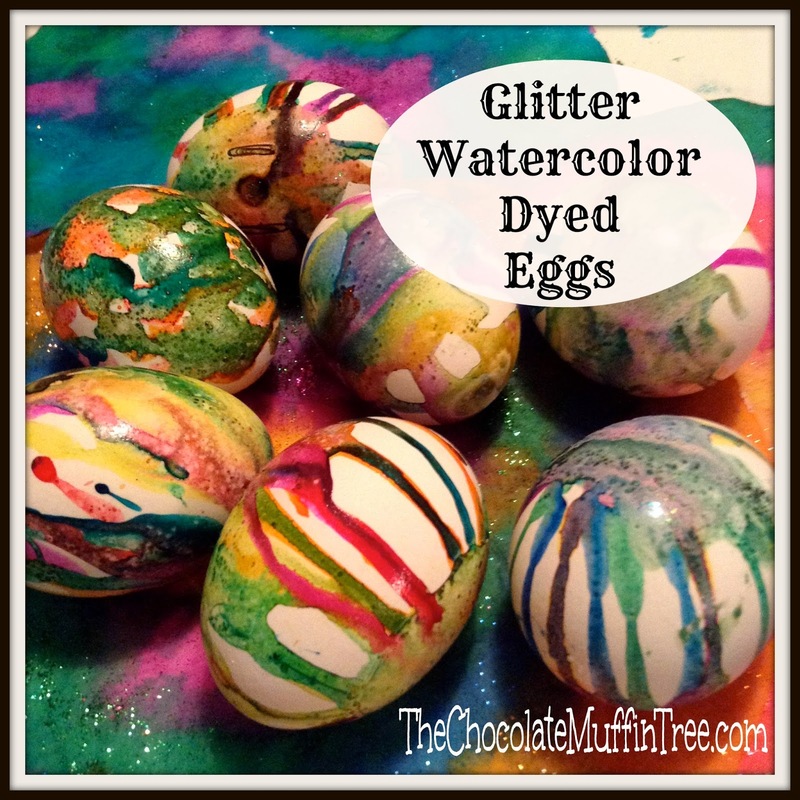 I love the sparkle of the eggs with the Glitter Liquid Watercolors. Kids of all ages could easily do this process. 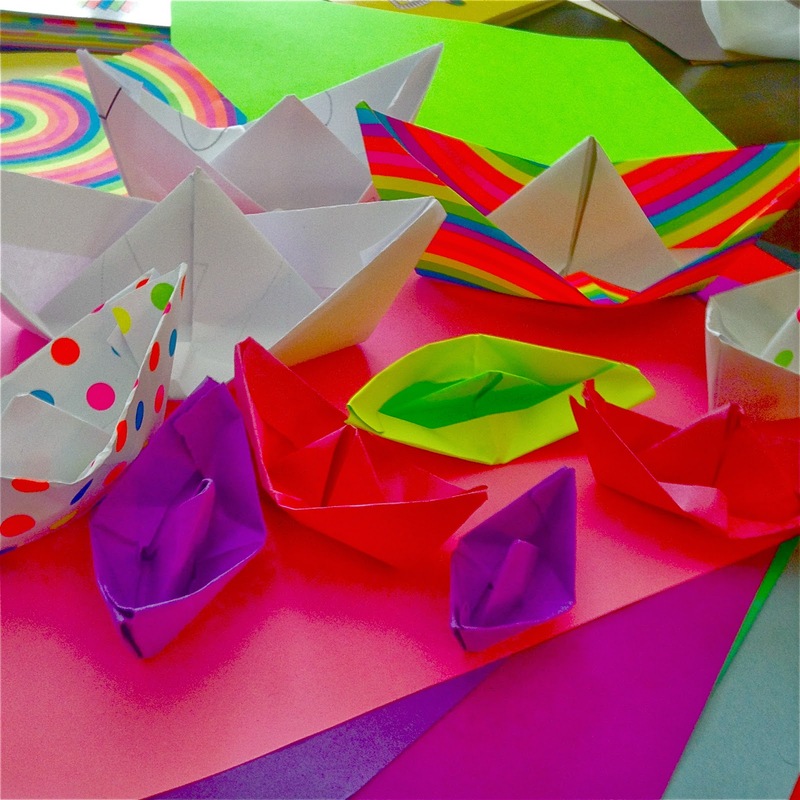 We had so much fun making Paper Boats the other weekend. My daughter then continued to make them all week long. She tends to find an idea like this and is so proud that she can make it and wants to show off to friends and family. We got the idea from the book: Curious George Rides a Bike by H.L. 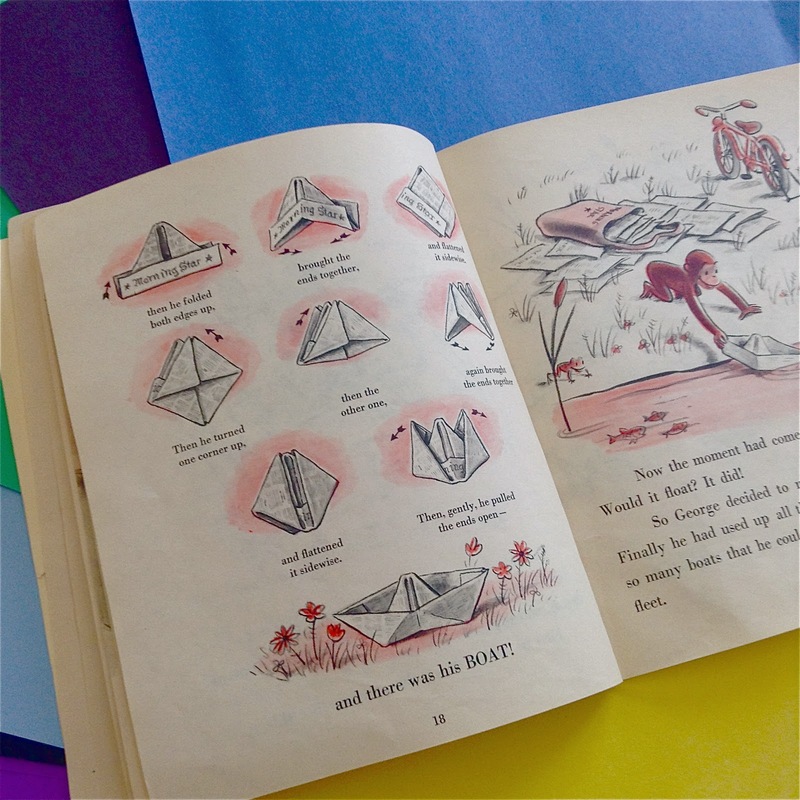 Rey which has the instructions on how to create a paper boat within the story. 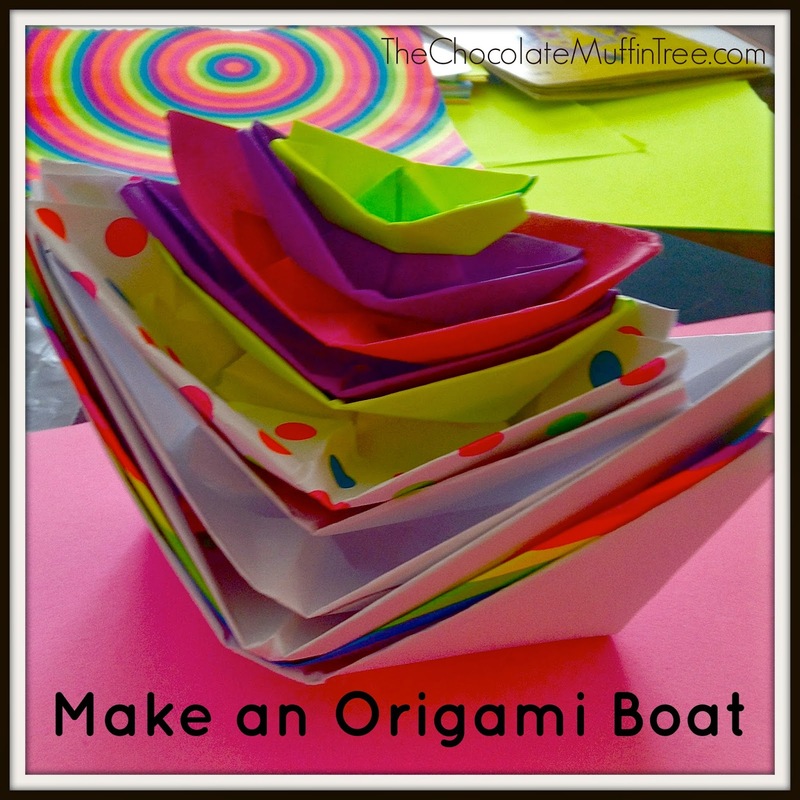 This activity is great because it ties in reading and art together. We had so much fun with these! 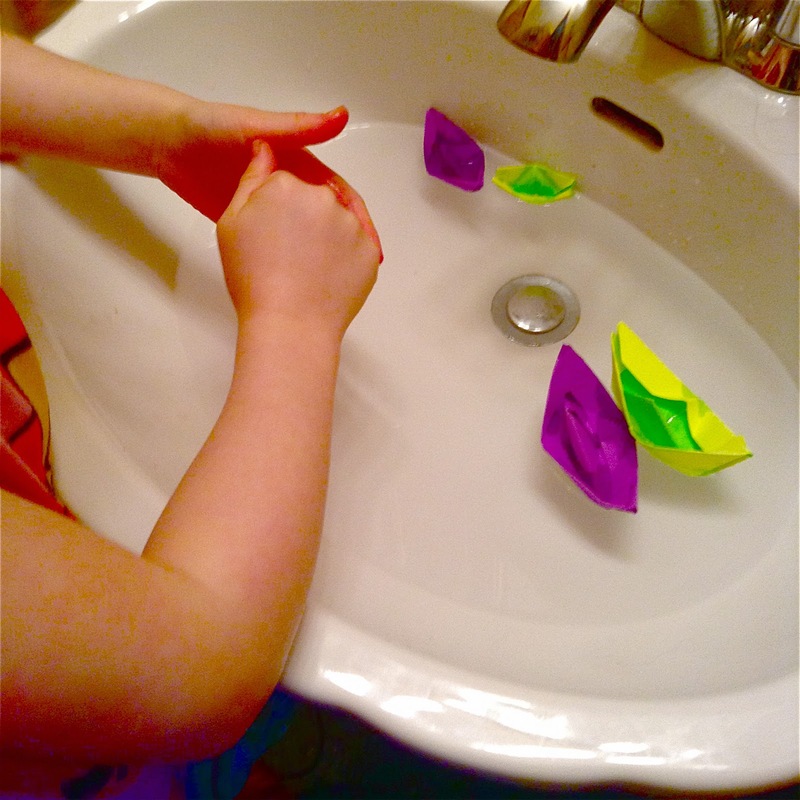 We even did some floating experiments with the origami boats we made too. Do you have lots of pre-made stamps on hand? Well, I have the project for you. 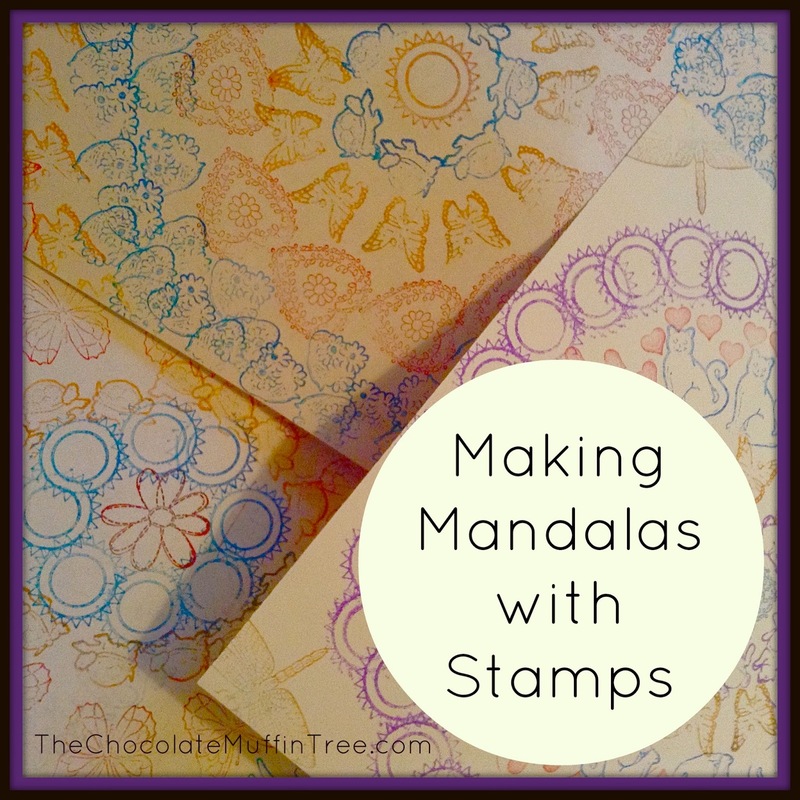 Normally we just stamp on papers without any direction, but recently we came up with the idea of creating mandalas or radial designs with all of our stamps. They turned out quite beautiful! Now, just start in the middle of the paper and create circles of stamps around your first circle. Basically, you create a target design of stamps. 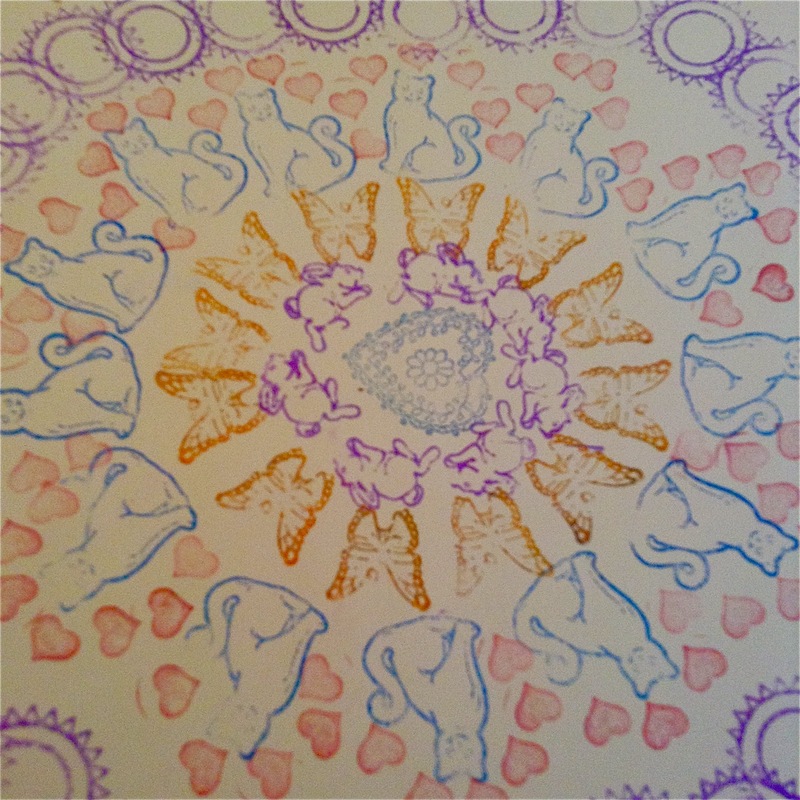 Here is a simple stamp mandala. Get more detailed as you do more. 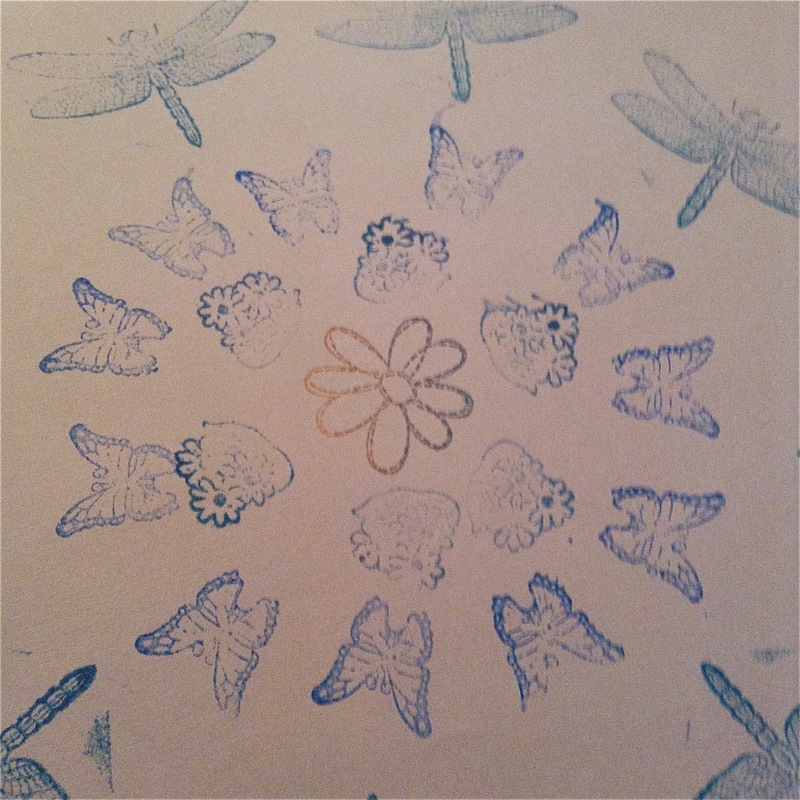 Try making some stamps closer or further apart. You may even choose to overlap stamps too. The more stamps and colors the better. 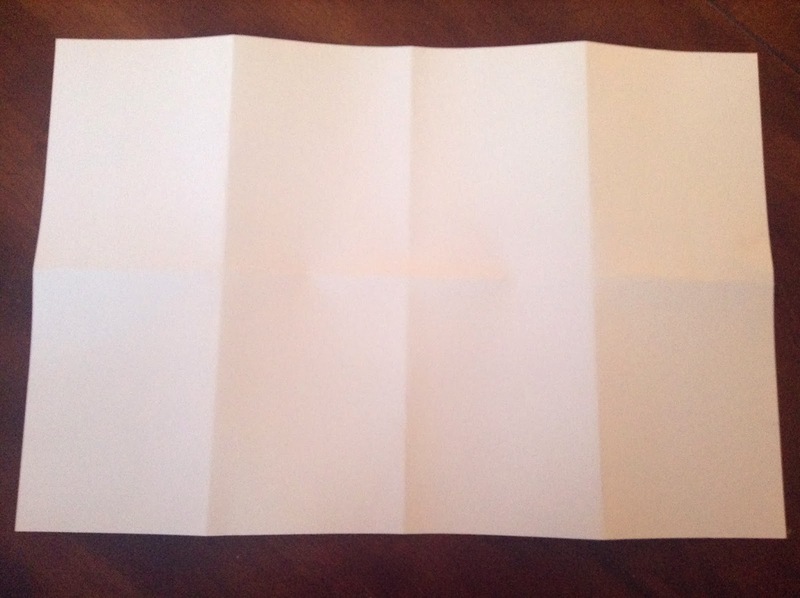 My daughter was telling me about an art project that she did at school. She explained a little bit, and right away I guessed she was doing a painting project in the style of abstract painter Wassily Kandinsky. I asked her if she would show me how to create this project. She was super excited about it and being a former elementary art teacher it excited me too. 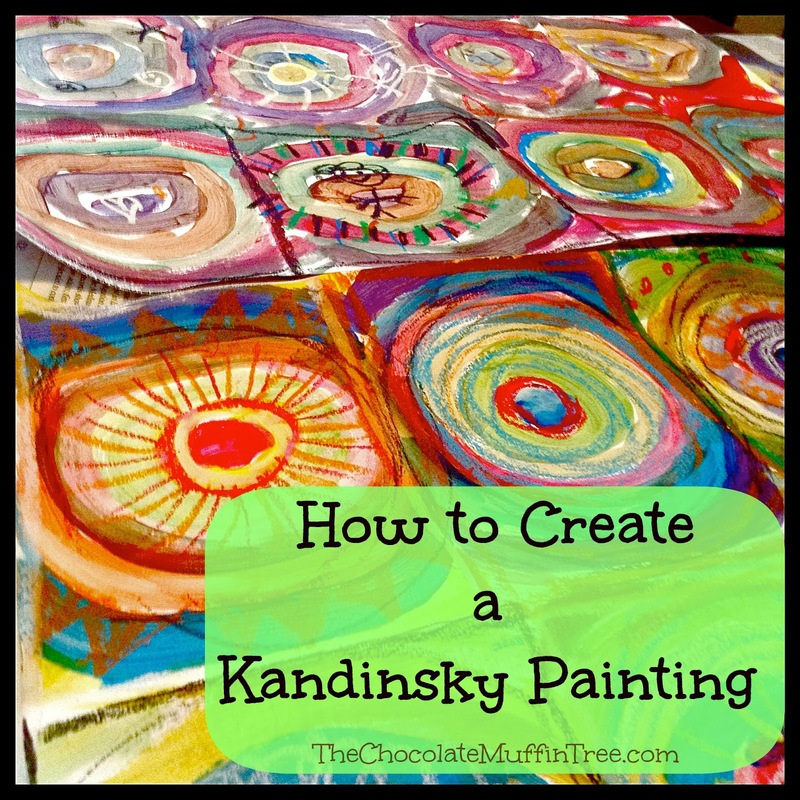 Keep reading to find out how to create a Gorgeous Kandinsky look-alike painting. Then you start with a dot in the middle of the rectangle spaces and paint around the dot in different colors until you fill up the space. My daughter told me that the idea was to mix colors with the primary colors. 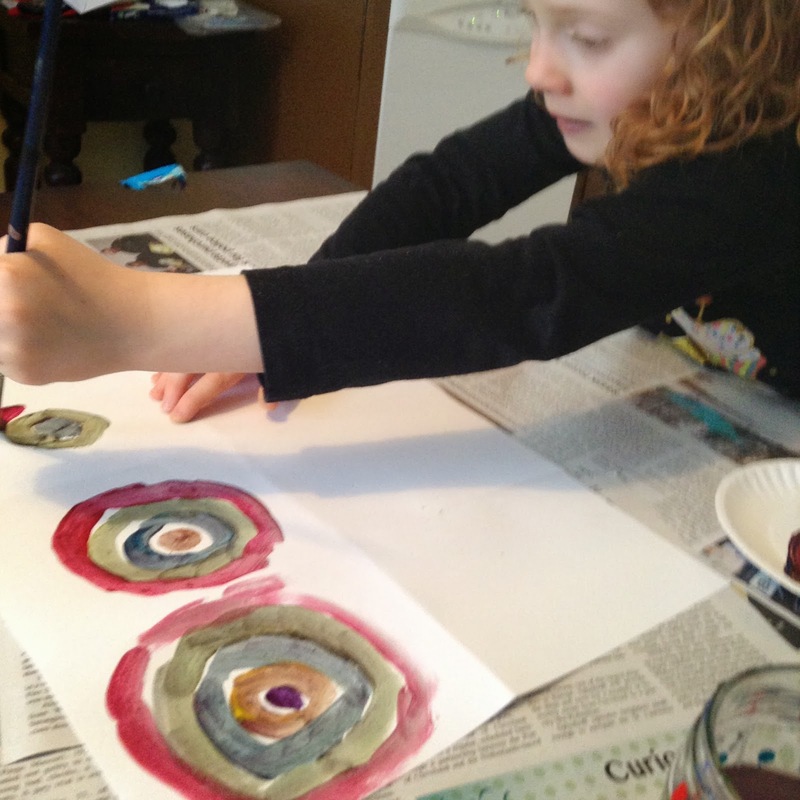 She absolutely loved the idea of mixing colors just like when we did our Egg Carton Paintings here. Here are our finished Kandinsky paintings. We added oil pastel over our paintings after they were dry. 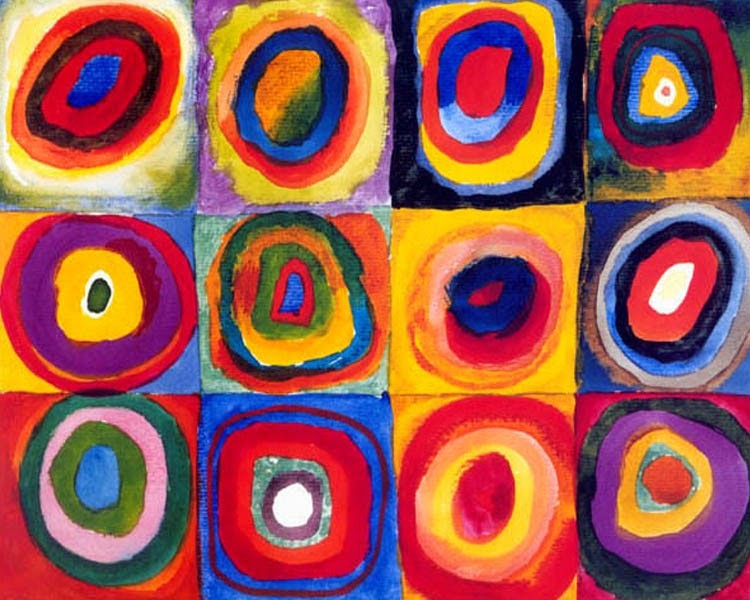 Here is Squares and Concentric Circles by Wassily Kandinsky made in 1913. How do you think our paintings compare?